This is a guest blog post. Scroll to the bottom for more details. Air sealing and adding insulation to an existing house could have negative impacts on both the occupants and the house. Wait…adding insulation is supposed to be a good thing, right? If done properly, yes. Houses are complex systems. There are many interactive components that impact the way a house performs and regulates heat, air, and moisture. Air sealing and adding insulation to your attic can reduce heating bills, improve comfort, prevent frost accumulation, and even help eliminate ice dams. These outcomes are intended. However, sometimes air sealing and adding insulation can lead to unintended consequences. What should you be aware of as a homeowner before you decide to “improve” your attic? When air leaves the house, outside air will be pulled in to replace the air that left. The amount of air coming in always equals the amount of air being pulled out. This exchange of air happens when you run your bath fans, range hood, or clothes dryer. Depressurization occurs when there is more air leaving the house than coming in. Depressurization can cause a handful of problems, but I will focus on back drafting. Back drafting occurs when a combustion appliance, such as a water heater, can’t generate enough draft to vent the combustion gases up the flue and out of the house. When backdrafting happens, these gases spill into the house, causing a potential buildup of carbon monoxide. Unintentional carbon monoxide exposure accounts for an estimated 15,000 emergency department visits and 500 unintentional deaths in the United States each year. (Source: http://www.cdc.gov/mmwr/preview/mmwrhtml/mm5650a1.htm). While the Minnesota Fuel Gas Code has specific installation requirements for gas water heaters, just following all of these rules doesn’t mean a water heater will draft properly. Even with a proper installation, there are three common home improvements that can cause problems with existing water heaters. Tightening the enclosure. This is done by air sealing gaps or cracks in the exterior of the house, adding insulation or weather stripping, and replacing windows or siding. Adding ventilation appliances such as bath fans, larger cooktop vent hoods or whole house ventilation fans. Replacing the furnace. When older furnaces are replaced with newer sealed combustion units, the water heater vent often becomes “orphaned”. It used to share a large flue with the old furnace, but now it’s left to fend for itself to produce a draft. The relatively small burner on a water heater doesn’t always produce enough draft to work properly by itself, so it backdrafts. Backdrafting can be prevented by not having open combustion appliances – this often means replacing the old natural draft water heater with a powervent, direct-vent, or electric water heater. Performing a worst-case depressurization test can determine if back drafting is occurring already, and can help predict if it will occur when the home is made tighter. Note from Reuben: check out my blog post on this specific topic, Water heater replacement: pros and cons of natural draft water heaters. Air sealing and insulating an attic can greatly impact the airtightness of a house and therefore change the ventilation rate, leading to elevated interior moisture levels, condensation on windows and mold growth. 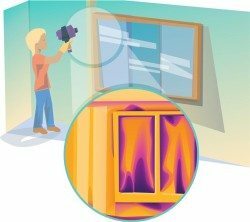 Every house has its own prescribed ventilation requirement, which can be calculated with a blower door test, to determine if the house is “breathing” properly. The fix most commonly consists of adding new ventilation equipment such as bath fans or an air exchanger, also known as a heat recovery ventilator or an energy recovery ventilator. Radon is a naturally occurring radioactive gas that comes from decaying uranium in the ground. It is odorless, colorless, and tasteless. Radon is the second leading cause of lung cancer and is responsible for an estimated 21,000 deaths per year. Radon can be pulled up into the house by a form of depressurization called stack effect. Houses that are leaky and have low levels of radon will often see an increase in radon levels after the building enclosure is tightened. This is due to a change in the natural air change rate, which dilutes radon levels. Once this source of ventilation is removed, radon levels increase. Any change to the natural ventilation rate in a house can cause a change in the radon levels. Consider testing the radon level in your home after any changes have been made that could affect the airtightness or pressures within the home. To minimize the potential for unintended consequences when air sealing and adding insulation, have a home performance assessment completed by a qualified person before the work is done. This does not mean a typical audit that includes a low-flow aerator for your sink, a tube of caulk, and a few CFL light bulbs. This includes a comprehensive assessment of the whole house as a system. 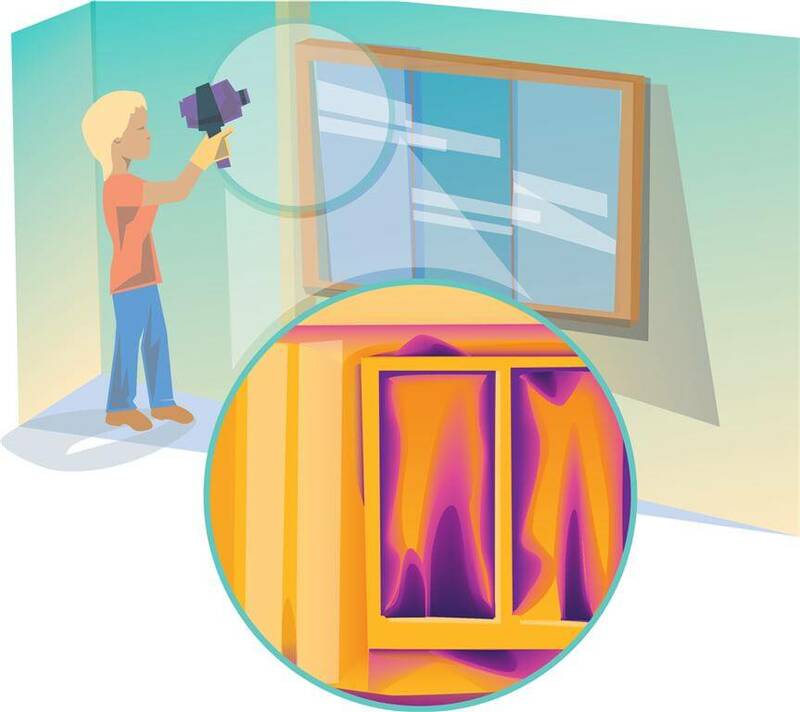 An idea of some items a home performance assessment could include are a blower door test, an infrared scan, combustion safety testing, ventilation appliance inspections, attic inspections and possibly even a radon test. For the best possible results on your next insulation project, be sure to work with a company that takes a holistic approach to your home envelope, and guarantees the results, not just the work. Note from Reuben: This post was originally written by Steve Shirber and posted here on February 5th, 2013. This post has been revised and updated by our very own Tessa Murry for 2018, who was introduced to me by Steve Shirber when she worked for his company. At the time that Steve wrote this blog post in 2013, I referred his company exclusively for this type of work. That company is no longer around, and today we refer clients to the Minnesota Building Performance Association for home performance assessments.